Created for bloggers or for anyone that wants to share something with the world, this video WordPress theme will help you do just that in an easy, efficient and creative way. VideoGrid comes in 2 color variations: Dark and Light. One thing is for sure, whatever version you’ll choose to go for, it will blend perfectly with the stylish looks of the theme. We’ve used and customized a creative sort by filter on the homepage. This will give your website the visual edge advantage your website needs to stand out from the crowd. Check it out! 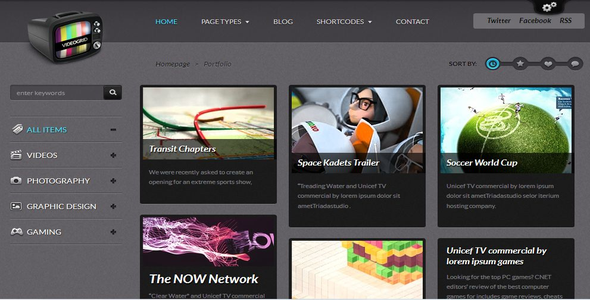 Share the post "VideoGrid WordPress Theme"